Over the past three decades compensatory mitigation has become an important strategy for addressing the unavoidable environmental impacts that result from dredge and fill activities. Compensatory mitigation projects should be designed to provide self-sustaining, long-term replacement of lost ecological functions and services. Federal and State regulatory staff routinely review these proposals to ensure that projects will achieve the desired outcomes. But what exactly should compensatory mitigation project reviewers consider in evaluating a proposal? The purpose of this third of four webinars was to assist compensatory mitigation project reviewers by providing information about how to evaluate biotic processes—plants, animals, etc. and explore 1) how they are linked to hydrology, soils and other biotic characteristics, 2) how biotic elements provide indicators of wetland health and function and 3) how to measure progress using performance standards and monitoring plans. During the webinar the use of and selection of reference wetlands to determine appropriate biological communities to restore (e.g., planting palettes) was also explored. By linking all these elements together presenters provided insights into how to manage abiotic and biotic elements to restore high quality, high functioning wetlands. These topics were explored using examples of freshwater wetlands including vernal pools, floodplains, riverine and coastal projects. The webinar presentations ran around 120 minutes and wad followed by a questions and answer session. Matt Gause is the Ecological Resources & Land Stewardship Director at Westervelt Ecological Services and oversees Westervelt’s land stewardship and ecological resources on over 8,000 acres of restored wetlands and endangered species habitat on 18,000 acres of preserved properties in California, the Rocky Mountain region and southeastern United States. Mr Gause has over 25 years of experience with wetland restoration including the restoration of vernal pools, riparian forest, tidal marsh, and floodplain wetlands. He has also managed conserved lands for more than 15 threatenend or endangered species on preserves throughout California. In addition, Mr. Gause provides site suitability analyses during the land acquisition process, including restoration suitability, threatened and endangered species, easement restriction analysis, and future land management cost estimation. Mr. Gause also develops and implements both baseline and long-term land management and monitoring strategies for mitigation and conservation landscapes. Mick Micacchion is a Professional Wetland Scientist and works as a restoration ecologist with The Nature Conservancy for the Ohio In-Lieu-Fee Compensatory Mitigation Program. He has a BS and MS in Wildlife Management, both from Ohio State University. Mick retired in 2011 from the Ohio Environmental Protection Agency (Ohio EPA) with 32 years of state service including 10 years with the Ohio Department of Natural Resources. While working for 20 years at Ohio EPA he was instrumental in the development of Ohio’s Wetland Water Quality Standards rules, wetland assessment tools, including the Ohio Rapid Assessment Method for Wetlands (ORAM), Vegetation Index of Biotic Integrity (VIBI), Amphibian Index of Biotic Integrity (AmphIBI), “Standardized Monitoring Protocols and Performance Standards for Ohio Mitigation Wetlands” and their integration into Ohio’s wetland program, which has worked as a model for the country. Mick also works for the non-profit Midwest Biodiversity Institute (MBI) where he has served as a wetland ecologist for the past seven years. Currently he instructs courses in Wetland Botany, Wetland Delineation, Ohio Amphibians, Ohio Wetland Assessment Methods, including ORAM, VIBI/VIBI-FQ, and AmphIBI, as well as several other courses at MBI. 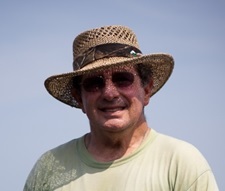 He has monitored the physical, chemical and biological features, including the soils, hydrology, chemistry, plant, amphibian and macroinvertebrate communities of hundreds of Ohio’s natural wetlands and trained hundreds of wetland professionals in the development and use of wetland monitoring and assessment methods, including ORAM, VIBI and AmphIBI. He has also monitored, assessed, and reported on the condition of hundreds of Ohio compensatory wetland mitigation projects and spent more than a decade on Ohio’s Interagency Review Team, where he was a major contributor to the “Guidelines on Wetland Mitigation Banking in Ohio.” Mick was a member of the Technical Advisory Group, which developed the methods used in the National Wetland Condition Assessment (NWCA), and lead crews and managed others for both the 2011 and 2016 NWCAs sampling wetlands in Ohio, Michigan, Wisconsin, Minnesota, Kentucky, Tennessee, and 10 other states. He is the Vice President of the Ohio Wetlands Association and was a founder and has been active with the Ohio Vernal Pool Network since 2004. Gretchen Coffman is an Associate Professor at the University of San Francisco. Dr. Coffman is a restoration ecologist and Associate Professor at the University of San Francisco (USF) who has worked on wetland and riparian restoration projects throughout the U.S. and internationally for more than 28 years. Since 1991, she has conducted jurisdictional wetland delineations throughout California, the east coast, the southeast, Midwest, and Puerto Rico. In addition, she has applied ecological experience in vegetation and invasive plant species mapping, watershed assessment studies, historical ecology studies, rare plant surveys, and compensatory wetland mitigation projects. Dr. Coffman's current research focuses on scientific questions with high relevance to management problems, mainly related to riparian plant ecology, restoration, and invasive plant biology in wetlands and river systems of mediterranean-type and tropical climates. Her research focuses on experimental wetland revegetation and restoration strategies, invasive plant ecology, and restoration monitoring to improve performance standards. She has on-going research projects along rivers and watersheds in coastal southern California, the San Francisco Bay Area, the Central Valley of California, and Southeast Asia. In 2015, she led a National Geographic Expedition in the Annamite Mountains of Laos to document and begin restoration of the Critically Endangered Asian swamp cypress trees she discovered. Since then, her team has successfully propagated almost 2,000 seedlings and started restoration efforts in 2018. In 2016, she was the recipient of the Arthur Furst Faculty Research Award that honors USF Faculty or Alumnus whose work exemplifies research for the betterment of humanity. 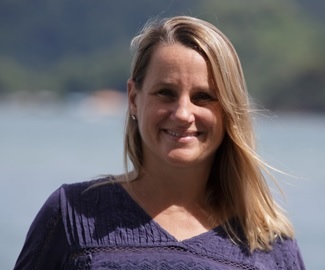 Since 2010, she has taught field ecology courses in the Environmental Science Department, Masters of Science in Environmental Management graduate program, and Environmental Studies program at the USF. Courses include Basic and Advanced Wetland Delineation, Field Botany, California Ecosystems, Tropical Restoration Ecology in Borneo, Ecology and Human Impacts, and Introduction to Environmental Science. She developed a Wetland Delineation Certificate Program at USF in 2013 in which more than 70 students have completed. From 1996 – 2011, Dr. Coffman taught wetland ecology, delineation, and restoration courses in the Wetland Science Series at SFSU's Romberg Tiburon Center for Environmental Studies in Tiburon, California. She holds a Ph.D. from UCLA, 2007, Environmental Science; a M.A. from SFSU, 1998, Ecology and Systematic Biology; and a B.A. from Colgate University, 1991, Biology. Over the past three decades compensatory mitigation has become an important strategy for addressing the adverse environmental impacts that result from dredge and fill activities. Compensatory mitigation project should be designed to replace lost ecological services at an alternative location. Federal and State regulatory staff routinely review these proposals to ensure that projects will achieve the desired outcomes. But what exactly should compensatory mitigation project reviewers consider in evaluating a proposal? The purpose of this second of four webinars was to assist compensatory mitigation project reviewers by providing information about how to evaluate abiotic processes--soils and hydrology--critical to designing wetland restoration projects that will achieve project objectives and meet performance standards. Presenters focused on both abiotic and biotic characteristics of soils and their functions, review specific considerations with respect to hydrology and soils in tidal restoration projects, and describe a process for developing hydrology-based performance standards in freshwater systems. The webinar presentations ran around 100 minutes and was followed by a questions and answer session. Lenore Vasilas is a USDA Natural Resources Conservation Service (NRCS) Soil Scientist on the Soil Science Division Technical Soil Services Staff. She has been a soil scientist for NRCS for 28 years working for the first 7 years on soil survey and the rest of her career in various positions concentrating on hydric soils issues. She has been a member of the National Technical Committee for Hydric Soils for 20 years and is the current chair of the committee. Walter I. Priest, III after over 40 years in the public sector working for the Virginia Division of Shellfish Sanitation, U.S. Army Corps of Engineers, the Virginia Institute of Marine Science and the NOAA Restoration Center, Walter, currently works with his consulting firm, Wetland Design and Restoration. He is a Professional Wetland Scientist. His work experience at VIMS included: permit review and environment impact assessment, tidal wetlands inventories, beneficial use of dredged material and wetland restoration. While with the NOAA Restoration Center, he provided project management for a wide range of fisheries habitat restoration projects including: large and small scale tidal wetland restorations, oyster reefs, Living Shorelines, seagrass restoration and dam removal projects. He also designed and helped implement a number of tidal wetland restorations at remediated Super Fund sites. He has also developed Prospectus’ and design for two tidal wetland mitigation banks as well as conducted long-term monitoring of two other tidal wetland mitigation banks. During his career he has been involved with over 70 habitat restoration projects involving over 100 acres providing: design, detailed critical review, project management, construction oversight, volunteer plantings and/or long-term monitoring. He recently authored a chapter in the book, Living Shorelines: The Science and Management of Nature-based Shoreline Protection, entitled, Practical Living Shorelines: Tailored to Fit in Chesapeake Bay. Steve Eggers is a Senior Ecologist for the U.S. Army Corps of Engineers, St. Paul District Regulatory Branch. He has worked with the Corps of Engineers for more than 40 years. Steve is widely recognized as a regional and national expert in wetlands, serving as a member of a national team responsible for updating the Corps wetland delineation manual, as well as participating in the update of the national wetland plant list and co-authoring the book Wetland Plants and Plant Communities of Minnesota and Wisconsin. Steve provides training and technical assistance with wetland delineations and restoration projects. He has helped further understanding of wetland science and connecting it with public policy. Over the past three decades compensatory mitigation has become an important strategy for addressing the unavoidable environmental impacts that result from dredge and fill activities. Compensatory mitigation projects should be designed to provide self-sustaining, long-term replacement of lost ecological functions and services. Federal and State regulatory staff routinely review these proposals to ensure that projects will achieve the desired outcomes. But what exactly should compensatory mitigation project reviewers consider in evaluating a proposal? The purpose of this webinar was to provide an overall framework for review of proposed compensatory mitigation projects. Presenters focused on the processes that shape wetlands across diverse landscapes including the critical components of wetlands and wetland restoration project: hydrology, soils and vegetation. Landscape context, wetland classification, the use of reference wetlands, function and values, and temporal considerations will be discussed. Eric D. Stein, D.Env. is a Principal Scientist at the Southern California Coastal Water Research Project (SCCWRP), where he is head of the Biology Department. Dr. Stein oversees a variety of projects related to in-stream and coastal water quality, bioassessment, hydromodification, watershed modeling, and assessment of wetlands and other aquatic resources. His research focuses on effects of human activities on the condition of aquatic ecosystems, and on developing tools to better assess and manage those effects. 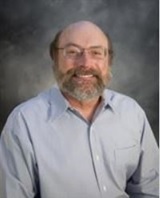 Dr. Stein has authored over 100 journal articles and technical reports and participates on numerous technical workgroups and committees related to water quality and wetland assessment and management. 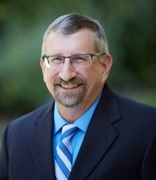 Prior to joining SCCWRP in 2002, Dr. Stein spent six years as a Senior Project Manager with the Regulatory Branch of the Los Angeles District Corps of Engineers, and four years with a private consulting firm. 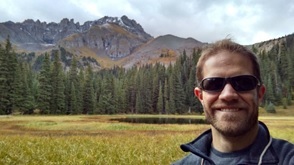 Jeremy Sueltenfuss is a Wetland Ecologist at Colorado State University, Department of Forest and Rangeland Stewardship. His research focuses on wetland hydrology, and the hydrologic drivers of wetland form and function. Jeremy’s research has focused primarily on mountain systems, ranging from the wetlands of Juneau Alaska down to the Peruvian Andes. By understanding how water flows through and across the landscape, Jeremy tries to apply his research on degraded and hydrologically altered wetlands to restore these vital ecosystems. His dissertation research focused on the use of hydrologic performance standards for wetland mitigation. W. Lee Daniels is the Thomas B. Hutcheson Professor of Environmental Soil Science at Virginia Tech in Blacksburg, Virginia. He received his Ph.D. in Soil Science from VPI & SU in 1985. Dr. Daniels areas of specialization include stabilization and restoration of disturbed lands including areas disturbed by mining, road building, waste disposal, urbanization and erosion. In particular, he has focused his research and consulting experience in wetland impact mitigation, mine reclamation, and soil-waste management systems. 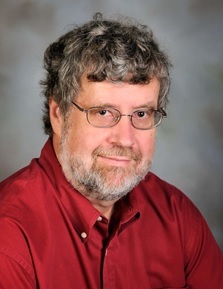 His teaching programs at Virginia Tech focus on soil geomorphology and landscape analysis with particular emphasis on the relationships among surficial geology, hydrology, soil patterns and long term landscape evolution processes. Major awards include the Reclamation Researcher of the Year by the American Society for Surface Mining and Reclamation (ASMR) in 1993, USEPA’s National Biosolids Utilization Research Award in 2000 and the Lifetime Achievement in Research Award by ASMR in 2012. 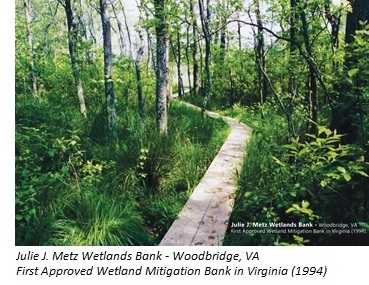 Matt Schweisberg () is the Principal of Wetland Strategies and Solutions, LLC (www.wetlandsns.com), where he provides policy, regulatory and technical advice and assistance for clients seeking to navigate a wide range of regulatory and non-regulatory issues related to wetlands and other aquatic resources. He works throughout the U.S. Matt is a Professional Wetland Scientist under the Professional Certification Program of the Society of Wetland Scientists. He is a retired federal wetlands ecologist and wildlife biologist who spent over 32 years with the U. S. Environmental Protection Agency at its HQ office in Washington, D.C. and New England Region office in Boston. Matt served as Chief of the New England Region’s Wetlands Protection Program and Senior Wetland Ecologist, and on national work groups developing guidance and regulations on Clean Water Act jurisdiction. He has testified before federal grand juries and served several times as an expert witness in federal, state, and private litigation. 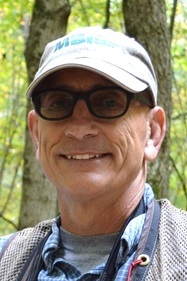 He co-instructs a week-long intensive course on wetland identification and delineation at the Eagle Hill Institute in Maine, and has taught courses in wetland regulation, restoration and creation, wetland ecology, and wetland identification and delineation for federal and state agencies, academic organizations, and environmental consultants. He received his degree in Wildlife Management from the University of Maine. To View Information and a list of Compensatory Mitigation Webinars, click here. To View Future Compensatory Mitigation Webinars, click here. To View Past 2019 Compensatory Mitigation Webinars, click here.